President Donald Trump blamed Democrats on Friday for his administration’s “zero-tolerance” policy that has separated at least hundreds of migrant families in recent weeks. But the Trump administration’s family separation tactic was not created by Democrats, and is not actually a law the administration is required to follow. Public outrage has reached a boiling point in recent days over the Trump administration’s newly implemented tactic of separating migrant families at the US-Mexico border under the “zero-tolerance” policy. A number of Trump administration officials – including President Donald Trump himself – have taken to the media to argue that separating migrant children from their parents is merely “following laws,” which they have falsely blamed Democrats for creating. “I hate the children being taken away,” Trump told reporters on the White House lawn on Friday, and added that his Attorney General Jeff Sessions was merely enforcing pre-existing laws by implementing the zero-tolerance policy. The policy mandates that each person caught illegally crossing the US border be criminally prosecuted – a process which thereby separates that person from any children they have brought with them. He went further on Friday afternoon, tweeting that Democrats were “forcing” the family separation, and said any immigration bill Congress passes needed to include each of his demands for immigration reform. But the Trump administration’s zero-tolerance policy is just that: a policy. No part of US immigration law specifically orders that families must be split up at the border. They have cited several “loopholes” in the law that they wish to close as a means to stop illegal immigration, and therefore remove the need for a zero-tolerance policy. This is a 1997 legal agreement struck by Clinton administration following years of litigation on the treatment of children detained by immigration authorities. 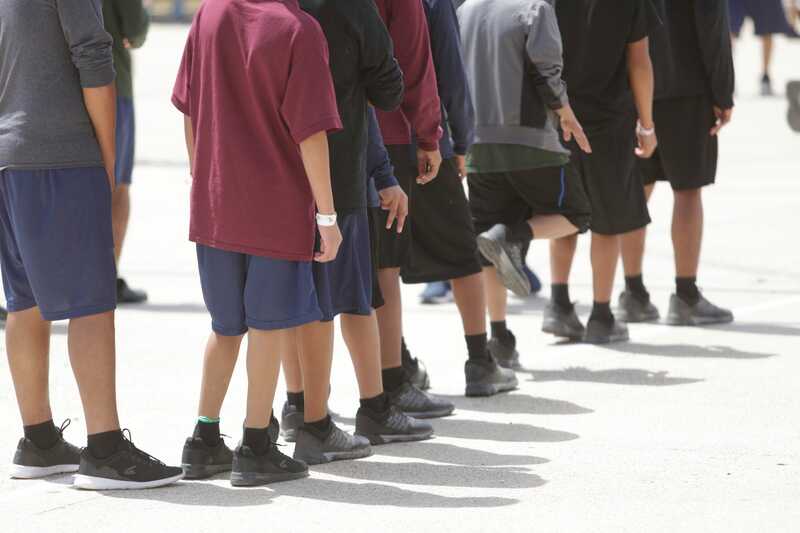 The settlement says the government is required to release immigrant children from detention without unnecessary delay – generally within 20 days – to parents, relatives, or licensed programs. If those options are not immediately available for certain children, the government is then required to place them in the “least restrictive” setting appropriate for their ages. The William Wilberforce Trafficking Victims Protection Reauthorization Act was signed by President George W. Bush in 2008, and ensured that children who arrive at the US-Mexico border unaccompanied are “exempt from prompt return to their home country,” unless those countries are Canada or Mexico. The Trump administration wants Congress to limit the period in which unaccompanied children may apply for asylum to one year after their arrival in the US, and it wants to end “abuse” of a visa known as the Special Immigrant Juvenile (SIJ) visa, which allows unaccompanied children to obtain green cards if abuse, abandonment, or neglect prevents them from reunifying with one or both of their parents.